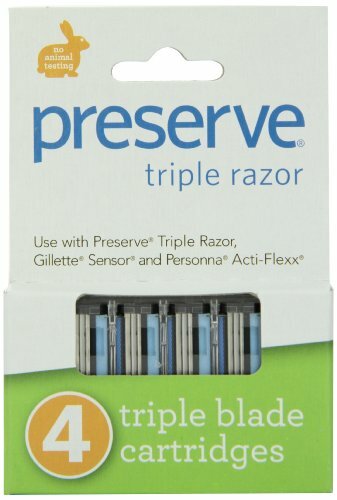 Why we love it: These triple blade refill cartridges give a close and comfortable shave using sustainable materials and without animal testing. A gentle lubricating strip on each cartridge uses Vitamin E and Aloe for a smooth glide and skin soothing benefits. Includes 6 packages with 4 refill cartridges each. Does not include razor handle. No animal testing. No animal products.